Hi, again! It’s your friend Louis here, blogging away like a champ! I just ran into the awesome Beth Emelson (Folger Theatre’s Assistant Artistic Producer) who mentioned to me that people actually seem to be reading this blog. I am simultaneously flattered and extremely self-conscious. I’ll probably just pretend she never said that to me, and go back to trying to amuse myself over a post-rehearsal Yuengling. Yes, they are “paying” me to write this blog in Yuenglings. Garland Scott (Folger’s Head of External Relations) has also now provided me with a Flip camera, which is kind of great. This means that once I can gather up the nerve, I’ll try and include some little snippets of video into these dispatches. I’ll probably try to catch people when they don’t know I’m taping them; first, because I think candid videos are best, and second, because I’ve only recently adjusted to being a “blogger.” Being a “vlogger” gives me cold sweats. But I will do it—because I care about anyone who takes the time to read this, and because I want the Yuenglings. In any event. Let’s move on to Othello. One of the most difficult things about being an actor is the nagging sense one has that people are always watching you, and that you fundamentally deserve the attention of strangers. This can often make us tedious at best, worthy of a punch at worst. To be fair, punch-worthiness notwithstanding, we are dealing with our own experiences and feelings in bringing characters to life. Perhaps it’s understandable if we have, shall we say, a more imposing sense of self than someone with more decency and reserve. Or perhaps it’s just irritating. I was thinking these thoughts about myself yesterday, while waiting for my next scene to come up in rehearsal, when I suddenly noticed that there was another whole scene taking place in the room. A scene from Othello. That I wasn’t in. I was amazed. I decided to watch. All kidding aside, you guys are in for a real treat. Owiso Odera (Othello) and Ian Merrill Peakes (Iago) were running the two scenes in Act III (scenes 2 and 5) wherein Iago lays out the groundwork for, and springs his trap on Othello—that is, to convince him that his wife has been unfaithful to him. I am completely blown away and amazed by what these actors are doing. Owiso is a physically imposing guy, by which I mean tall, lithe, lean, and muscular. His head is totally shaved, and his eyes, when he stares you down, are electric. Ian is more compact, with more of a boxer’s or a street brawler’s body—you can see where he could lay you flat in a fight (well, he would certainly lay me flat in a fight), but in a match up against Owiso, he wouldn’t stand a chance—unless he fought dirty. I mention these things, because this basic visual information has a bearing on how the dynamic of the scene plays out. The two characters are soldiers—a general and his ensign—and just looking at them, you learn a little bit about the kind of man who rises to lead this army, and the kind of man who wants to bring him down. All this, before there’s even any speaking. In the pass at the scene they did yesterday, Owiso came into the scene with an enormous amount of good will and cheer—he was practically glowing. He was not a man who had any cause to think this next 24 hours wouldn’t be as joyful as the previous 24. Ian reflected that bright light right back—then slowly, with deliberation and caution, began to let slip the odd ingredients of the poison stew Iago serves in the scene. The two moved toward and away from each other, the habitual ease of long-time friends and colleagues draped across them like an arm across a shoulder. “O, beware, my lord, of jealousy. Shakespeare and Owiso team up to give us, the audience, a vital piece of information that the character in the scene does not have. As Ian exits, Owiso is still. All of that golden energy drains away from him. He has one simple line before Ian returns to try again. It is, in a sense, his undoing. This one seed of doubt, combined with his certainty in Iago’s clear camaraderie and trustworthiness, is the beginning of the end. By the end of the scene, which takes us to intermission, Othello believes his wife to be a whore. It was a beautiful moment. I won’t spoil it by talking too much about it, but watching Ian wield words like a man twirling knives, and watching Owiso physically recoil from so much language is fascinating, compelling, and beautiful. I think you’re gonna dig this show. …I’ll stop there. Time for a Yuengling. Thanks for reading, if you are! More dispatches soon. You certainly deserve those Yuenglings! Thank you for painting the scene so vividly. I can’t wait to see it in action! It’s amazing how Iago is able to play Othello (come to think of it, he’d make a great salesman in today’s world!) 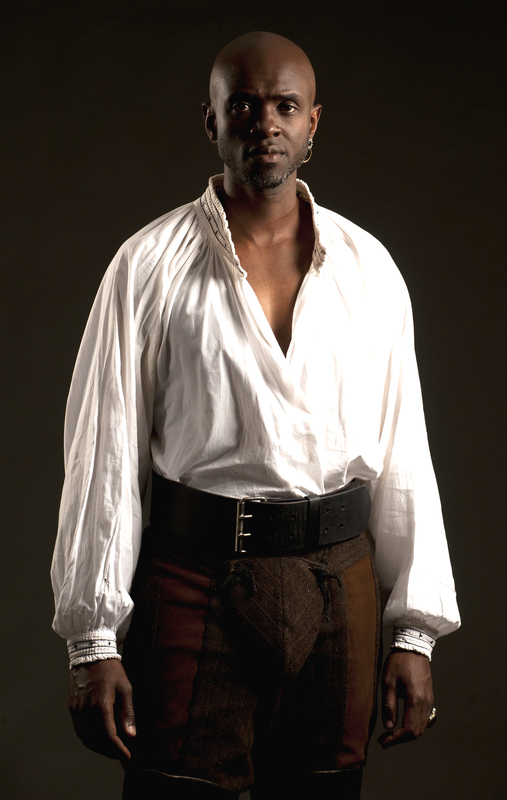 His tactics of leaving Othello alone to think about his situation is genious. Othello’s a man of battle and government; by forcing him to think of a personal situation and internalize his life and his wife’s nature, he has no idea how to react and begins to raise up self doubt. It makes you wonder how “honest” is Othello? But then again, the word “honest” has a whole other meaning in this play. You’re absolutely right – “honesty” is a giant can of worms in the play. Throughout, Othello continually refers to Iago as “honest, honest Iago.” Even after Othello kills Desdemona, and Amelia reveals that it was all based on a lie, Othello clings to the idea of Iago as “honest.” He simply can not conceive of any other way of thinking about Iago.